Combining quality service and equipment, Jarvis Heat & Air, LLC delivers superior comfort and cost-savings. Call on us at 352-316-4573 for heating installation anywhere in Gainesville, FL and surrounding areas with complete confidence. We won’t keep you waiting, cause needless disruption, or answer with a generic solution. As an entirely in-family company, we recognize the importance of custom design and proper installation procedures. Our goal is to minimize running costs while maximizing system reliability, longevity, and control over your climate. 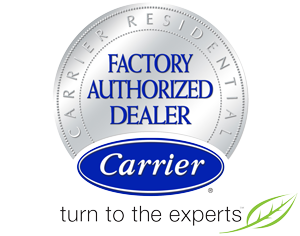 As a Carrier Factory Authorized Dealer and duct system specialist, Jarvis Heat & Air, LLC provides what few can. We offer a broad selection of industry-leading heating options, from furnaces and heat pumps to ductless units, at competitive prices. Trust in Jarvis Heat & Air, LLC for all your heating installation & replacement needs! Our factory trained and experienced technicians adhere to proven installation strategies and verify the integrity and fit of the ductwork. In other words, we find the perfect heating system for you and make sure nothing gets in the way of peak performance, year after year.